- Date: 08/2016, Seed: $849 k (post valuation: $849000). - Date: 02/2015, Seed: $637 k (post valuation: $637000). We challenge you: Once you update a business contact in your smartphone, is this automatically shared with your team as it should be? Would you like to have caller ID for all your business network and not only for the contacts stored in your address book? How much time is lost to keep and update personal contact lists without sharing? 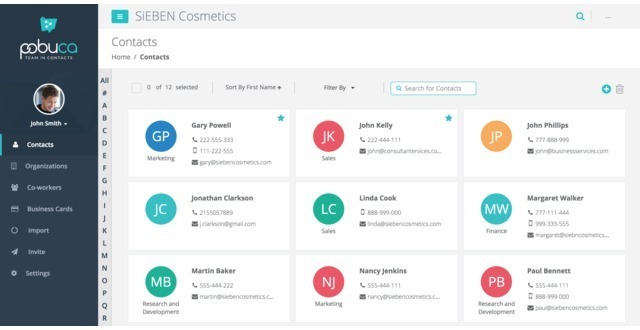 Boost your productivity and security by having all your organization contacts in one place, accessed from any device. 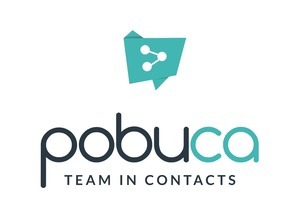 Pobuca is the contact management app for teams! Pobuca has a freemium business model. Apart from the opportunity to up-sell PRO or Enterprise versions, we have additional revenue streams by cross-selling Pobuca Premium Services: contact related in-app purchases, like marketing campaigns, sales force automation or customer gifts management. Moreover, our goal is to make agreements with Telcos for distribution, like we did with Vodafone, and therefore we target to 1M users in 1 year and 9M within 3 years. The market size is 223M organizations and 2B users worldwide. We will target mobile workers and users that need to communicate a lot in their work in a "bottom-up" business model and also perform direct sales to big enterprises. Pobuca is the app where teams share contacts! Its focus and USP is to easily communicate with any of your organization contacts from any device. Moreover, our "secret sauce", Pythia, imports, updates and calls contacts stored in Pobuca using physical language with the user. - Desktop address book applications (like E-Z Contact, you can get a list here www.freewarefiles.com/category_8_153.html): no mobile access, old fashioned, hard to install, maintain and share (not cloud). No auto import of contacts and auto update features. - Consumer address book apps (like Fullcontact www.fullcontact.com, Plaxo www.plaxo.com, and Memotoo www.memotoo.com) or to just keep contacts in personal Mailbox (Outlook, Gmail): contacts cannot be shared with co-workers, lack of business structure: “companies with related contacts”. - CRM/Contact Management systems (Zoho CRM www.zoho.com, SugarCRM www.sugarcrm.com, Contactmewww.contactme.com, Insightly www.insightly.com): CRM systems have expensive licensing with no freemium model (they usually only provide trial accounts with paid subscriptions, except of Insightly, that it has a freemium version for up to 3 users). They are complex to use and many of them do not support smartphones (only tablets). In fact, CRM systems are not a real competitor but an opportunity for go-to-market (by joining their app marketplaces): customers are not willing to pay expensive CRM licenses for all their employees just for address book access, but they may pay a cheap company-wide Pobuca subscription to sync only contacts. - Keeping contacts in shared files (Excel, Access): hard to share, use and maintain, hard or impossible mobile access, no control & security, no automated import of contacts and auto update. In this document you may find competition analysis.